Bluddshed has made an awesome video with what seems to be the fastest way to level in Season 6 (patch 2.4.1), at least so far on the PTR. This method is based on looting Kanai’s Skorn, which is a pretty strong weapon and boost yourself up to around level 25, at which point you are likely to have acquired enough items to keep leveling smoothly. Loot Kanai’s Skorn from the Mysterious Chest. At this point, if you’re playing in a group, you might be better off going straight to doing rifts together, so the next steps might not be as useful, however, if you’re leveling by yourself, keep reading. Keep going up until about level 25, at which point you should have a better weapon and enough items to continue leveling. Obviously, you should be watching the following video made by Bluddshed to see the method in action. Now, this entire guide and video were made based on the Diablo 3 PTR Season 6 (patch 2.4.1), so chances are some features might change once the new season goes live, but let’s hope this little trick was indeed intended to help you boost yourself above the initial levels, which are the most boring ones. 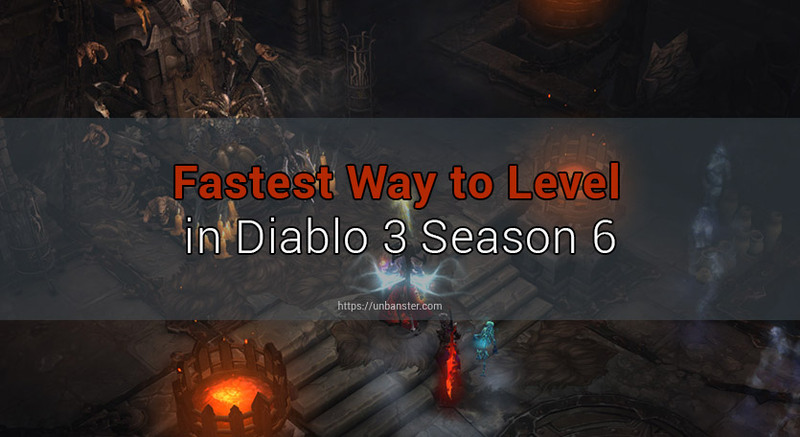 If you guys have any other tips or tricks in regards to the fastest way to level in Diablo 3 Season 6, please feel free to let us know in the comments!